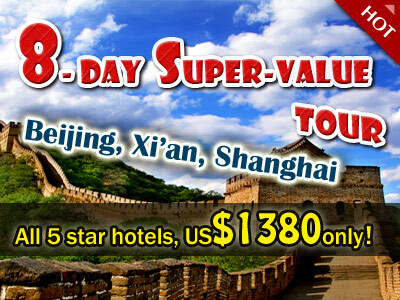 Easy Tour China has always tried to ensure that the information published on this website is accurate and updated. However, we will not accept liability for any loss or damage or inconvenience arising as a consequence of any use of or the inability to use any information on this website. Visitors who use this website and rely on any information do so at their own risk. Easy Tour China does not represent or warrant that the information accessible via the website is accurate, complete or up to date. Price and availability of information is subject to change without notice. Easy Tour China will not be liable (to the fullest extent permitted at law) for any loss, damage or inconvenience arising as a consequence of any use of or the inability to use any information on this site. Easy Tour China takes no responsibility for the contents of linked websites and links should not be taken as endorsement of any kind. Easy Tour China has no control over the content and availability of external websites we may link to. 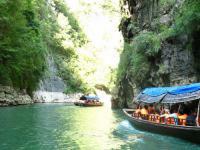 Easy Tour China reserves the copyrights for all the textual, graphical and other web content produced by or for itself. You are granted the right to print the content only for personal or non-commercial use. You agree not to copy, republish, or reassemble this web site in any way unless you have obtained our permission.